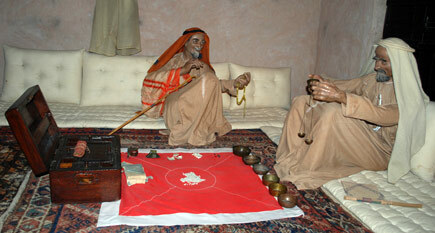 Then we visited the Ajman Museum, which has 20 sections and according to our guide, is the largest museum in the UAE. The museum's mission is to provide newer generations with the knowledge of the nature of life in Emirati society before the discovery of the oil. Then we drove all the way to Bahrain. It was a long drive but everything went smoothly and we arrived back home safe. We can't thank enough the Ministry of Tourism and our sponsor Omran for giving us the opportunity to undertake this expedition. I am grateful to our team for the photographs and blog essays that have helped promote Oman. A very special thanks to Archie D'Cruz, Editor of our publications, for updating the website every day and helping us connect with everyone following our tour. Thank you too to all our readers who have been following our expedition.